The new definition of “fundamental” is RADICAL, at least when it is applied to Obama-speak. The man who said he would fundamentally change America has lived up to that one campaign promise. 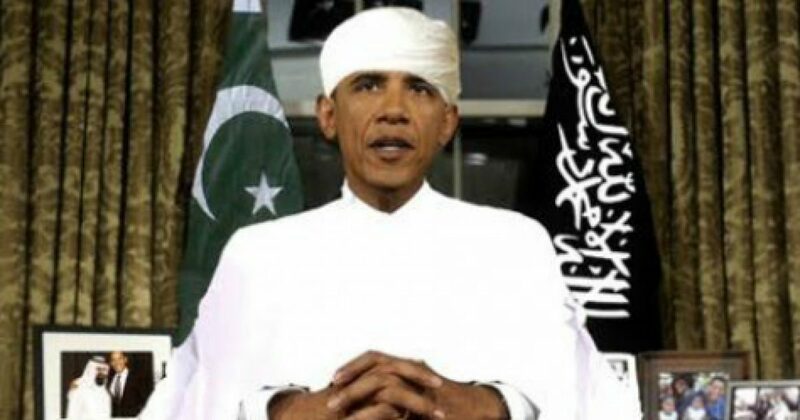 In recognizing America’s LEGAL immigration system, Obama has decided to Islamize it. These changes serve incoming Islamic supremacists especially well. While Islamic law allows Muslims to feign loyalty to non-Muslim “infidel” authorities, it bans Muslims from living up to the pretense by actually fighting or killing fellow Muslims on behalf of a non-Muslim entity, such as the United States. Why should anybody wanting to live in the best country in the history of many, created by the best people, have to swear an oath to protect their new country? The fact is many of the Muslims Obama allows into the country hate us, and have no allegiance to us. But such is the new America, and the Left’s definition of tolerance. Americans must tolerate people who will benefit from our graciousness, yet who have vowed ultimately to make us submit to their will.